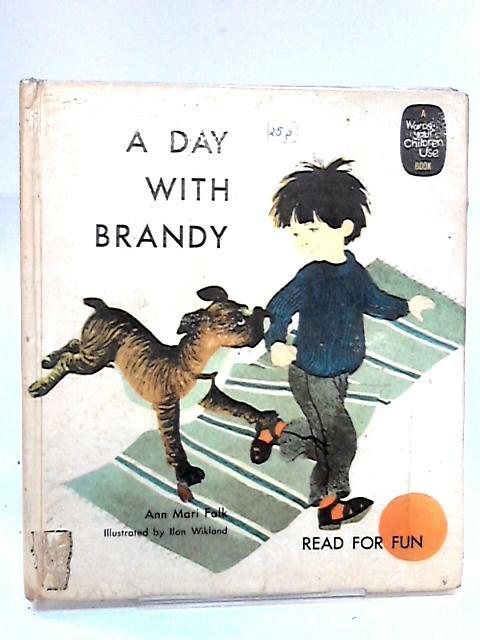 Day with Brandy by Falk, A.M.
1975. 23 pages. No dust jacket. This is an ex-Library book. Ex library book. White gloss boards. Mild tanning and rub marks to pages, with foxing to the text block edge. Firm binding with mild cracking to hinges. Bumping to spine ends and corners with noticeable rubbing and scuffing along edges and over surfaces.